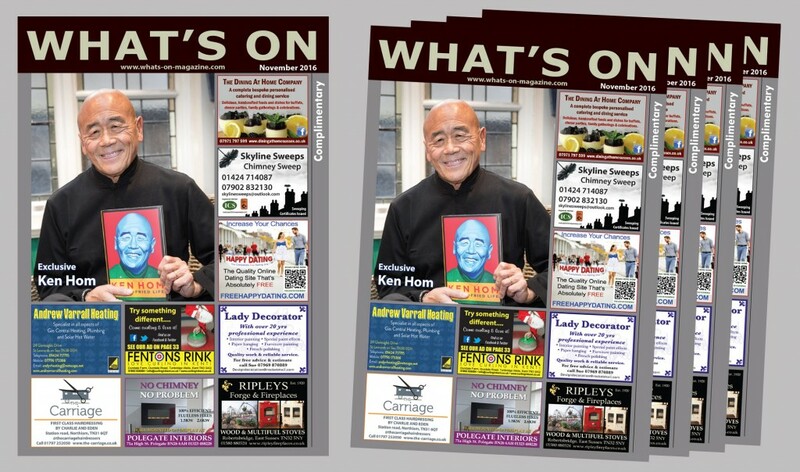 The November edition of What’s On Magazine features and exclusive with Ken Hom. Ken Home OBE is the man who showed the British how to cook Asian food. A leading authority on Chinese cuisine, he is one of the most respected and celebrated TV chefs of all time. His phenomenal success is easily measured, he is the autor of almost forty books, which have inspired millions of home cooks around the world. And in Britain alone, the Ken Hom wok is in one in seven kitchens.